103 registered members (Alan LJ, AnthonyPaulO, anotherscott, aphexdisklavier, anamnesis, atcsam, Barrasman, Animisha, BigIslandGuy, 19 invisible), 1,451 guests, and 3 spiders. The new iPads announced yesterday are pretty good value for the money. If you're inclined to do any composition/notation I'd recommend paying more for the iPad Pro. I bought a refurbished 9.7" iPad Pro last year. Refurb Apple products are a great way to get a good deal and not pay through the nose. Well, looks like it will cost a bit more to use an Ipad to do this. But might be worth investing in the new technology. Thanks so much for the info guys. Really opened my eyes. And here I was using my phone to make calls this whole time! You might want to take a look at iGrand for iPad. It runs fine on my iPad 2, it sounds good, there are demos on YouTube, and I believe the full version is about $20. I think they make a version for iPhone also. Last edited by Michael H; 03/22/17 02:28 PM. Sadly no classic piano module will cut it anymore. The piano sound came a long way since then. As mentioned before alesis nanopiano, roland sound canvas etc, they can be had for $50-$100 but will not pass the sonic test. It is not worth to go there IMHO. However if you are handy, you can get some of the broken Yamaha P, DGX, YPG that have MIDI. They had solid piano sound but some, like some DGX had problems with displays going off etc. You can get an half broken one for about ~$100 if you hassle, then detach the guts from the keyboard, put it in a box, and you have a pretty good piano module. Obviously it needs to have MIDI IN, you can't use USB with external keyboard. I've done this before - the cheapest way to get a multitimbral module. Last edited by oscar1; 03/22/17 02:17 PM. Will those soundfonts work on a windows 10 pro tablet ? I think you're right about the modules not really standing up these days. The ones that do, cost a lot. iPiano for ipad seems like a great deal. If I buy the iRig Midi 2, I get iPiano Free included with that. Then I only need to buy a cable to plug into my ipad. Mmmmm Mmmmm...I love technology! iGrand Free (are we talking about the same software? )is not the full version, and I believe you might be able to get that free version even without the iRig Midi 2. But you still need a way to hook up, which could be an Apple camera kit or the iRig. The camera kit is less expensive, but some of the iRig stuff is pretty nice. I A/B-ed iGrand with my Yamaha P45 and iGrand was definitely better sounding than the p45. For not a lot of money you'd have several good sounding pianos. Good luck! Last edited by Michael H; 03/22/17 03:37 PM. Thanks for the info Michael. I have a P45 as well and it's nice to know your opinion. I like that the iRig 2 has midi out and thru! Under Windows 10 I doubt this will be adequate. Will those soundfonts work on a windows 10 pro tablet? It has 4gb ram and an Intel i3 1.5ghz processor. But if you run Windows XP on that hardware it should be fine. I've got a Windows 10 laptop with 4 gb ram and it has no problem running SoundFonts. I've tried the free Daw LMMS, a lite version of Cubasis and installed a high quality GMFont using VirtualMIDIsynth without any problems. I just don't like the hassle of the setup however and prefer to use my iPhone 6s. I also get much better performance from my iPad and iPhone in terms of latency than on the Laptop (ASIO drivers installed). Apple have really nailed it with their audio drivers. Last edited by Jonky Ponky; 03/22/17 06:21 PM. I've got a Windows 10 laptop with 4 gb ram and it has no problem running SoundFonts. I also get much better performance from my iPad and iPhone in terms of latency than on the Laptop (ASIO drivers installed). Apple have really nailed it with their audio drivers. I suppose it's possible, but I find that extremely hard to believe. Asio4All provides very low latency normally (depends on your system). 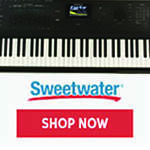 I have Korg Module for iPad with the Synthogy Ivory piano in-app purchase. Korg has regularly 50% off sale and this is when I bought it I believe. (Right now it is $55 + $40 for ivory and that is a steep price, I paid half that for each). Sounds very good on headphones. Plugging it to a sound system is a bit less satisfying. So far I believe the module+ivory is the best one on IOS. But, there may probably be better one now (although YMMW)! I just heard demos only as I am bit too broke to buy it right now it is like $60, but they have also few cheaper models like baby grand for purchase in the app. However the Colossus Concert grand does sound impressive in the demo videos). But I'll accept it as a gift :-) (hint, hint) and then give you my rave fair opinion! Last edited by oscar1; 03/22/17 09:52 PM. Apple has good drivers, but they also have good hardware. I have super low latency on my PC, but I have the hardware to support it. ASIO drives won't help bad latency if the hardware cannot handle it, whether native ASIO for the hardware or ASIO4All. IIRC asio4all is actually a driver that sits on top of the native WDM drivers, so will not provide any latency improvement (will actually add latency) but it *will* provide asio compatability for devices that do not have a native ASIO driver. But, I can certainly believe it. My iphone/ipads have better latency than my computers built in soundcard, but certainly not better than my dedicated interfaces. I get good latency from my lowly iPad 2 also, no noticeable lags when using iGrand or other apps. But ASIO4ALL has given me low latency on various PC laptops also, using the onboard audio, probably because as the developer says, it uses WDM kernel-streaming. Sometimes with external soundcards I’ve gotten similar latency and more stability than with the ASIO drivers written for the card. Less so now than in years past, but poorly written drivers can still be a real headache. So it’s nice to have ASIO4ALL in the toolbox. Kong module is on sale for $20 right now. Will be hard to decide between that and iGrand. Both sound very nice. I'm fussy when it comes to pianos. I have Korg Module with Ivory Expansion, iGrand with added purchases as well as SampleTank and ThumbJam. While some of them aren't too bad, none of them can be described as being very good. Module does have a lot of presets which is nice but the piano sounds are not perfect. There are noticeable jumps in sample switching even with the Ivory Pianos and my biggest gripe is the lack of polyphony. You only get around 18 notes with pedal down even on an iPad Air 2 - no matter what settings you try. The iGrand sounds are more pleasant than Module and polyphony is not a problem, but the velocity sample switching is too obvious and there only seems to be three levels of sampling involved. The only one I haven't tried is the relatively new Colossus Piano - it seems a little pricy and memory hungry (14 gb) but reportedly very nice to play. 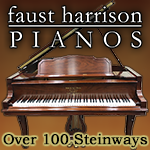 For these reasons I ended up doing a lot of editing and re-packaging of the best free pianos available and made them available to anyone with a soundfont player. Last edited by Jonky Ponky; 03/24/17 04:26 PM. Thanks for doing all the hard work Jonky. 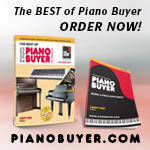 I was actually going to try your pianos first before I purchased a commercial product. I like "soft" pianos with a mellow tone. Can you recommend one on your site? You will need to allow about 100 to 200mb extra on top of the Ram usage shown. 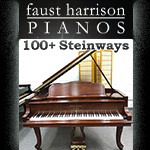 If you have room then either the 3 Piano set (Detailed_Salamander-PlusSteinwayUprights-v3.0 at 999mb) or the slightly smaller 3 piano set (Sal-Stein-Uprights-UltraCompact-v1.5 at 645 mb). If you have a small Ram device go for the Salamander-UltraCompact-v1.0 at 237mb. Thanks Jonky. Looking forward to messing with this "new" technology. Glad I found out about this stuff rather than spend the sMe amount of money for a plunky sounding module.